Click on links below to get all the details! Teton Series bra and top feature Polartec® Power Stretch® fabrics providing 4-way stretch along with warmth and moisture management. 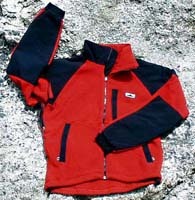 These garments are an ideal choice for base layering for many different activities. Includes both fall and winter bras and tops. La Plata Series garments feature basic and technical designs using Polartec® Power Stretch® fabric, which offers a 4-way stretch along with warmth and moisture management. 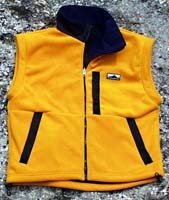 This series of garments can be the first or only layer for many different outdoor activities. Series includes basic and active tights, basic and active zip-t necks, pants, and vest. The Diamond Series featuring Polartec® 100 Power Stretch®/Cordura®, is a new style of Power Stretch® fabric that utilizes a higher quality 160 denier nylon thread outer surface that is extremely durable for high performance and longevity in the most demanding activities. The outer surface also offers better wind resistance than the basic style of Power Stretch®. Ellingwood Series garments utilize Polartec® 200 BiPolar Series fabric which provides exceptional warmth without weight, as well as weather resistance. The Ellingwood series is designed to be very technical and functional which allows it to be the middle or outer layer in the Body Climate System. 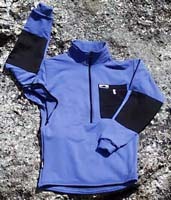 Ellingwood Series garments of 200 Bi Polar fabrics are ideal for wearers engaged in active winter sports. North Ridge Series garments utilize Polartec® Windbloc 1000 Series fabric along with the same technical designs as the Ellingwood Series. North Ridge Series garments of Polartec® Windbloc® fabrics are engineered to minimize heat loss from exposure to wind and water making them an ideal outer layer in the Body Climate System. They are ideal for outdoor activities when cold and inclement weather demand high-performance outer protection.